← Looking for a great historical fiction? Look no further – “The Last Sunset” by Bob Atkinson is here! I say “The High Street”, you say… “The Main Street” !?!! A woman walks into a convenience store outside Portland, and asks the guy behind the counter to get her some fags. The guy frowns and looks at her more closely. There’s a kind of manic look behind her eyes. She wants him to get her what? The guy’s new to the job. He’s just beginning to think he should have borrowed his girlfriend’s copy of Fifty Shades of Grey because he’s out of his depth here. Then he relaxes. That voice… he didn’t notice the accent. She’s a foreigner. That’s why she doesn’t make sense. Spanish he could’ve handled — passably —but understanding this lady is going to be a challenge. She’s talking British! Okay, I’m sure you’ve heard that confusion before, but for all that advances in communication and globalization is shrinking the world, many language differences stubbornly exist between various forms of English. Most of them, we already know about. Okay, so the British usually call their cigarettes ‘fags’. Despite the contrived little scene I painted there, I think most real Americans know that. Same as Brits are familiar with the word ‘diaper’ even though we never use it ourselves. But there are more subtle differences that aren’t so well known. Some are easy enough to work around, and some are definitely not. I’ll give my favourite examples tomorrow. This isn’t merely an amusing source of anecdotes for Greyhart Press (although it is that too!) because some of our authors are British, I’m British and I have a hand in all the books, and yet about 75% of our readers are American. We sell in Canada too, and one of our authors is Canadian (Hi, Elaine!). Traditional publishers usually solve the problem of how to sell British authors in America by producing a separate American (or International) edition. It’s not just spelling ‘color’ rather than ‘colour’. As an example, here’s a list of some of the other changes made to the Harry Potter books. But in traditional publishing you get to put physical books in stores, and can be fairly sure about which version gets distributed to which region. That’s not always so easy with eBooks. Interestingly, it doesn’t work the other way around. It is very rare for adult American fiction to be translated into British English by major publishers, but they are nearly always given a different cover. Here are some examples. No! We’re adults! Don’t insult us by assuming we fit the caricature of idiots who’ve never heard of the UK. Brits writing scenes set in America had better get the details right. Most of them can’t do it; they come across phony and I have no intention of reading phony writing. Despite the fact that big traditional publishers don’t trust adult Americans to be able to read British English, for the most part the idea that changing the spelling and idiom is not important (or, at least, not as important as writing exciting stories and memorable characters) has been borne out by our experience. We think… It’s difficult to know for sure because we don’t usually get direct feedback from our readers (though we’re always grateful when we do, good or bad). So far there has been just one incident where a reviewer on amazon.com complained that one of our books was full of spelling mistakes. In fact, it didn’t have any mistakes, unless you were using an American dictionary. Amazon took up the complaint and forced us to correct and republish the book, which was a bizarre experience. This part of Amazon is based in India. So we had this international merry-go-round where Indians (who didn’t seem to know much American English) were pushing me to correct a British English story to satisfy an American English reader (at least, I interpret that as the most likely explanation… the complaint might have been simply malicious) but none of the Amazon guys could actually point to a word that was misspelt. Getting egg on our face. JK Rowling might have gotten away with it for her Harry Potter books, but teaming a British author with an American editor and vice versa can go horribly wrong, especially if the author is trying to finalize books in several languages simultaneously. 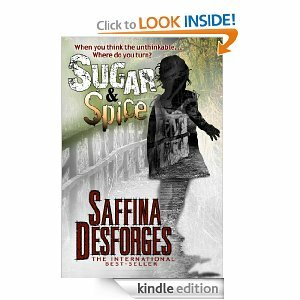 An example I often came across when I first looked into this was Sugar & Spice by Saffina Desforges. This was a British crime thriller that did very well indeed in the UK but wasn’t selling so well in the US. So the author ‘Americanized’ the words and switch the setting from England to America. Some people said the rework was successful , many did not. I found this amazon.com review interesting because the reviewer said it was a great story but was so put off by the translation that they bought and enjoyed the British version, which they went on to recommend. The reviewer is then attacked in comments to the review. Americans can’t buy the British version, because that’s on amazon.co.uk. Right? 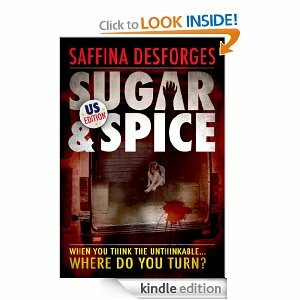 No, there is another version of Sugar & Spice also on amazon.com but this version is in British English and set in England. The author complained online that they had attracted hate mail for trying to con readers into buying two versions of the same story. I’m convinced that wasn’t the case. The book has been highly successful but I felt sorry for the author to get embroiled in this. It does illustrate the potential for getting egg on your face. That’s even more true with eBook publishing. In some cases there simply is not the option to sell one version of an eBook in one country and another version elsewhere. And I don’t want us to attract hate mail by being accused of conning readers. For adult fiction, I have no current plans to publish other than a single international version. What that means for each book’s editing varies from story to story. Between our editors and beta reader teams, most books will be read by individuals from a range of countries. That can alert us to terms that don’t translate well between countries. We might leave it in, at a little subtle contextual explanation, or make an alternative word choice. Often we will find that a reader will flag up a word as not one used in their country but on closer inspection, there it is in the dictionary. What we often detect is that a word might be valid in American and British English, but usage is more common in one than the other. The eagle-eyed among you will have spotted that I keep adding the qualifier ‘adult’ in this post. That’s because despite all I’ve just written, we are in the process of rolling out an experiment: how to publish a British and a separate international version (which really means, American) of the same book. We will tread very carefully, but we’re going to give it a go because I don’t believe the admonishment to treat people as adults works as well for fiction written for children. Where we can’t separate British from international distribution, we will distribute only the international version. Outside of Greyhart Press, almost all the books I read are children’s books.I read them to or with my son. Unlike adult books, many children’s books written in American English are translated over here into British English. Admittedly, with YA books we’re pitching at a slightly older reader, but I don’t want linguistic differences that an adult reader might skip over to trip up more inexperienced readers. I want them to be immersed in the story. What we won’t do is change the settings. Most of the stories we are preparing are set on far-off worlds in any case. 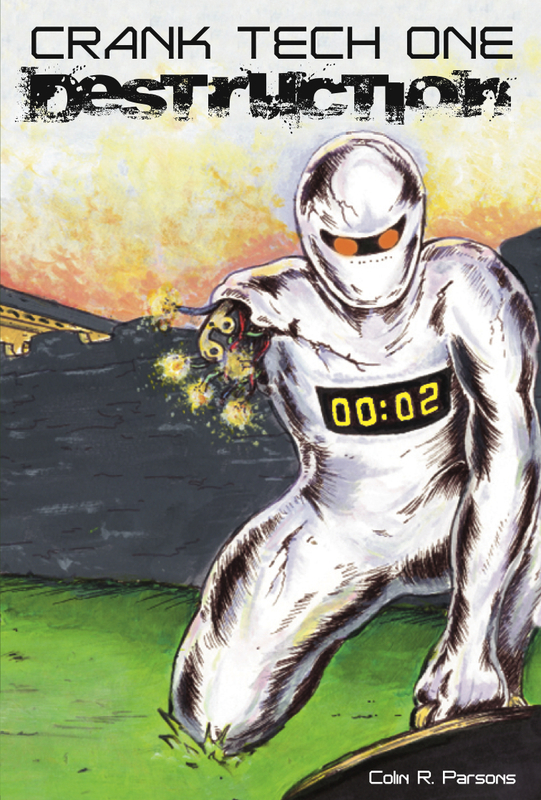 We already have a YA imprint called the Repository of Imagination, which is currently only selling the ‘robot-runs-amok-in-Cardiff’ story called Crank Tech One: Destruction by Colin R. Parsons. Currently it’s only on sale in the UK Kindle store (there’s also a paperback sold in the UK by Tallyberry Publishing). We’re just about to invite US and Canadian beta team readers to take a look at the US and international version which will be out for eBooks and paperback by Christmas. In fact, there is a lot of work quietly going on to get the imprint fully underway. I’m a little nervous, but we want our books to be as good as we can make them. We shall soon see how it turns out. This entry was posted in Book launch and tagged American English, American usage, British authors, british english, British vs American, Colin R Parsons, Derek Jones, Hillary Clinton, kindle books, robots, ya fiction. Bookmark the permalink. 4 Responses to I say “The High Street”, you say… “The Main Street” !?!! Don’t get me started on American writers who set their books in England! The Inspector Lynley mysteries are a prime example… did you know you can get on a train in Cornwall and be in London in half an hour! Then there was a book I read for a guy on Linkedin who I had to contact and explain the English school system to. Again I’ve had the same conversation with American writers who have no idea why we have to change our taps to faucets or our pavements to sidewalks because they understand the difference completely and feel insulted that publishers are talking down to them by changing things. My BIGGEST problem is as a poet… my poems don’t always rhyme in American English. Which has been pointed out by a reviewer… but in the UK people with different accents to mine are quite happy to accept the fact I write with a Londonish accent and it doesn’t rhyme in a Scottish accent or a Geordy accent. Some differences date back to when English people sailed away to the New World and took the language with them… gotten for example. We used to say gotten but it fell out of fashion over here along with putten for put. In America they kept gotten but we both lost putten (still used in some dialects though… just to confuse you) My mother tells the story of a young girl who explains to the teacher she’s sorry but “I’ve gone and putten putten when I should have putten put” in her English essay. I’ll shut up now before I take over the page. Great post, Tim…. I look forward to that promised top-10 list! I love the international nature of Greyhart, which could only exist in this era of globalization. You’re absolutely right, Armand. It is good, and it wouldn’t have been possible even five years ago.